The simplest way to debug network is just to explore input and output shapes. Basic information about network’s input and output shapes can be seen when network printed. In addition, network has two attributes that can provide with direct access to the information about input and output shapes. 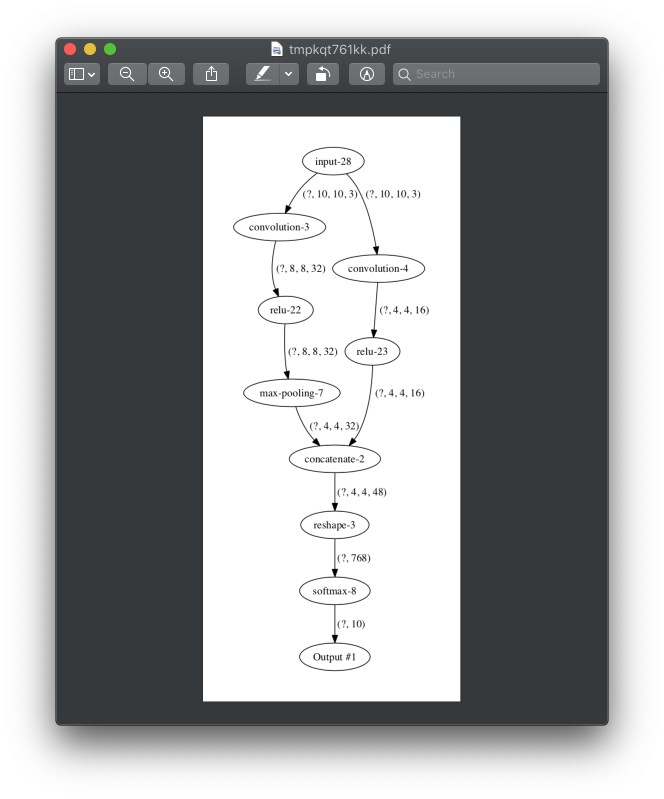 Notice that output shapes in the network specified using TensorShape class from Tensorflow library. Information about input and output shapes from each layer can be visualized with show method. This function will pop-up PDF file with a graph that defines all layers and relations between them. In addition, it shows input and output shape per each layer. Networks variables can be accessed from the variables attribute. In case if variables in the network don’t have defined parameters, the variables method will go through the layers in the network and trigger create_variables method per each layer.